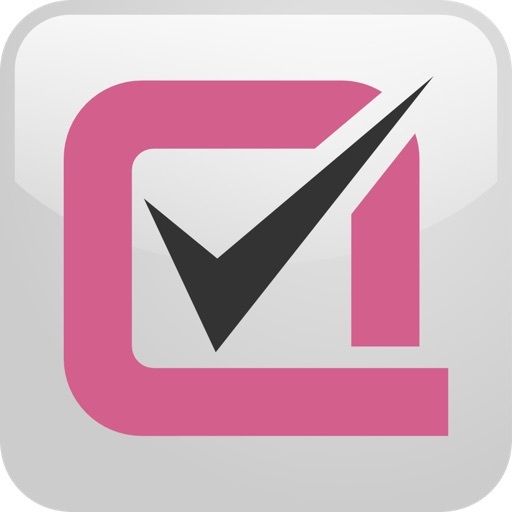 CHEQR PRO DataBar Tool by Dusty Wallet, Inc.
CHEQR PRO DataBar Tool builds GS1 DataBars for manufacturer coupons. CHEQR PRO DataBar Tool gives you total control over the creation, sizing, analysis, and revision of your GS1 DataBar needs. Not only will you never again need to pay for the creation of a DataBar, but you also can unleash the full promise of the DataBar to eliminate coupon misredemption once and for all! 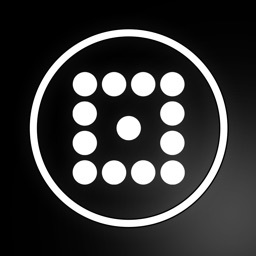 CHEQR PRO’s intelligent questionnaire and intuitive help system mean that you do not have to be a barcode expert in order to create 100% accurate DataBars. 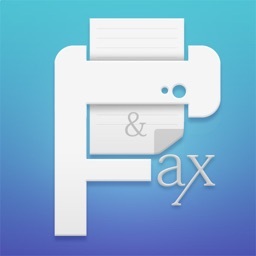 • SIMPLIFIES the creation of DataBars. With CHEQR PRO DataBar generator, building DataBars is a simple process of answering some basic questions about your coupon offer. The intelligent wizard only asks the minimum questions that are necessary, warns you about potential mistakes, and offers an extensive help system that demystifies the DataBar. • SIZES DataBars to Fit. Just tell CHEQR PRO what width you have available on your artwork, and the app will automatically create the ideal DataBar. CHEQR PRO will actually adjust the number of rows of a newly generated DataBar to fit whatever size you need, in ½” increments ranging from 1” to 3” width. • RETAINS DataBars for Future Use. 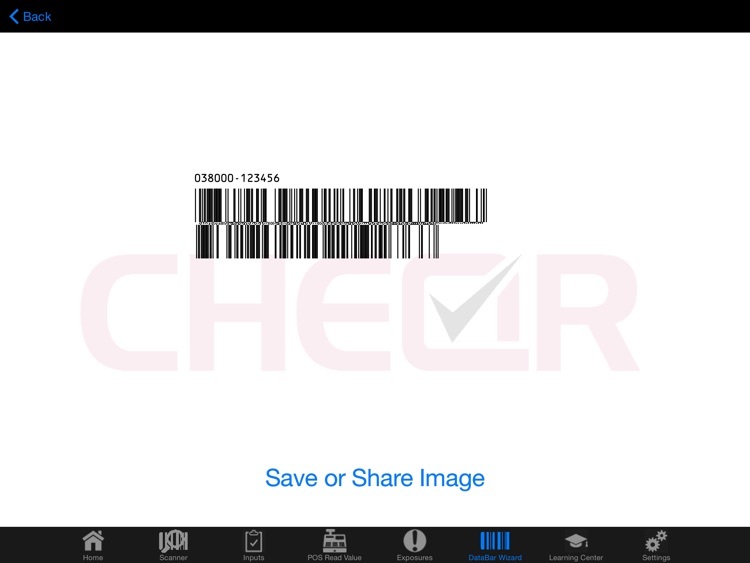 Whether you create a new DataBar or scan an existing one, CHEQR PRO retains these images to facilitate auditing, quality control, or repetition of a promotion. • ANALYZES Existing DataBars. 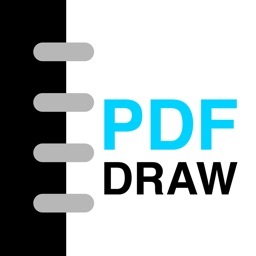 Using the built-in iPad camera as a scanner, CHEQR PRO reads the information in each DataBar, presents the information in multiple formats, and allows you to understand each element of the DataBar and how it might affect redemption. • EXPLAINS DataBar Settings. 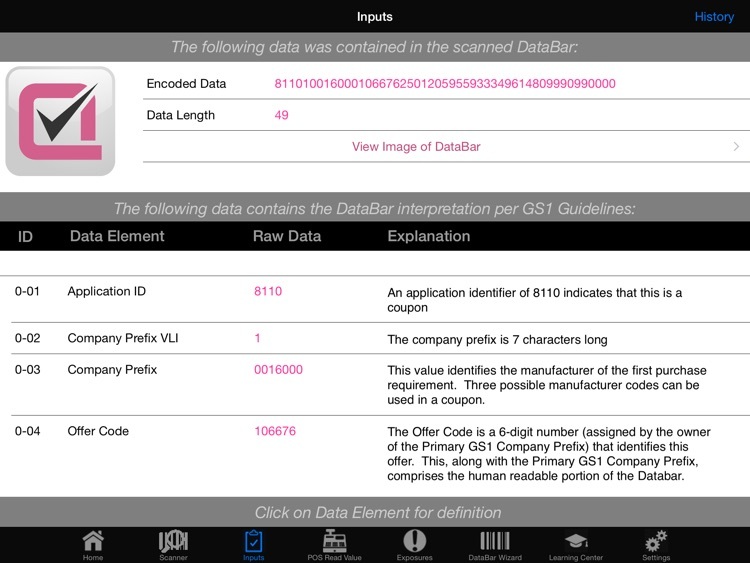 CHEQR PRO simplifies the DataBar by explaining each and every element. You see each value, its importance, and alternative settings. The complexities of the DataBar are broken down so that you do not have to be a rocket scientist to issue accurate coupons! • MIMICS POS Systems. CHEQR PRO displays exactly how the DataBar will be interpreted by POS systems, providing incredible insight into the reasons that a coupon might be accepted for unintended purchases and rejected for fully compliant purchases. 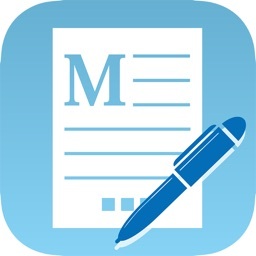 • IDENTIFIES Errors and Improvement Areas. CHEQR PRO evaluates each DataBar, using proprietary and patent-pending algorithms to identify correctable errors and concerns. 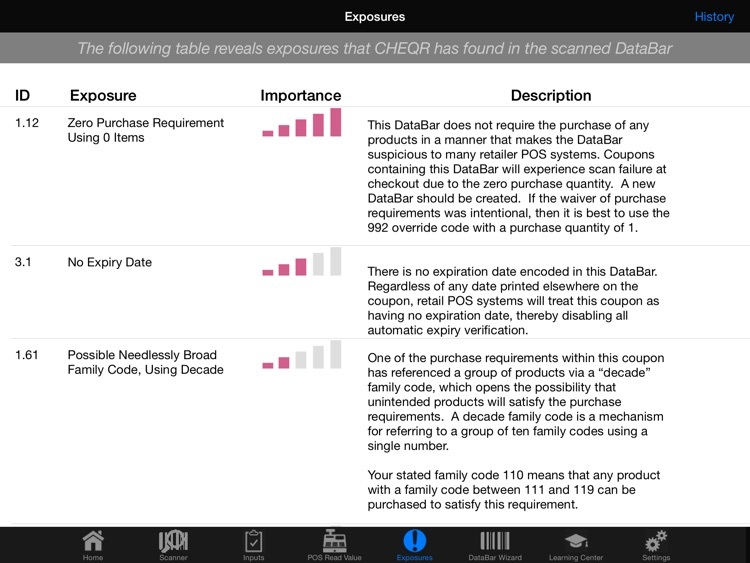 CHEQR PRO suggests best practices in DataBar settings that can truly minimize coupon misredemption. • NEEDS No Setup or Connectivity. CHEQR PRO is as portable as your device, designed to operate on iPads without any network or mobile connectivity. CHEQR PRO is a corporate security dream as there are no connections to any external databases. The only data transmission of any kind is the ability to send DataBar artwork via e-mail, messaging, or Apple AirDrop. CHEQR PRO’s intuitive design makes it ready to use straight from downloading, but if you need it, there’s an included tutorial. The CHEQR family of apps is the creation of a team of engineers from Duke and Georgia Tech combined with a pair of Wharton MBAs who are also brand management veterans. 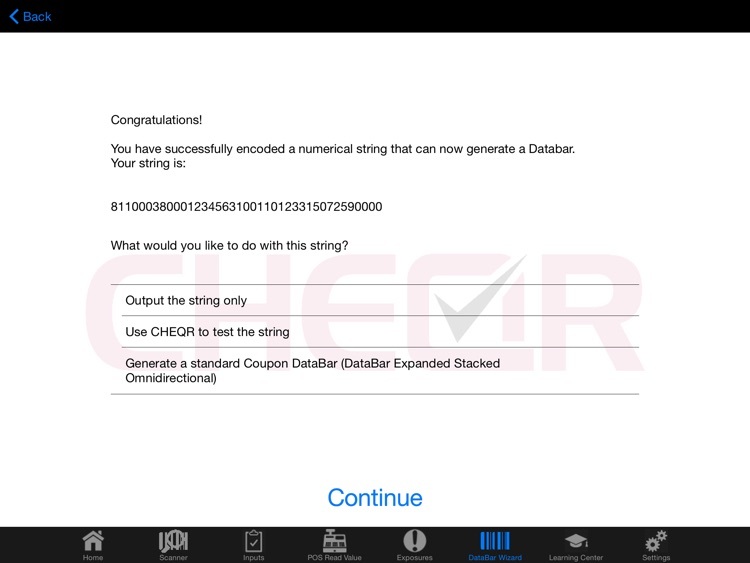 CHEQR DataBar Maestro and CHEQR PRO DataBar Tool both work exclusively on the iPad and only with the new North American coupon application encoding standards.